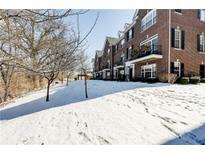 Below you can view all the condos for sale in the Traditions On The Monon subdivision located in Carmel Indiana. Listings in Traditions On The Monon are updated daily from data we receive from the Indianapolis multiple listing service. To learn more about any of these condos or to receive custom notifications when a new property is listed for sale in Traditions On The Monon, give us a call at 317-427-7201. This one won't last long! MLS#21631067. F.C. Tucker Company. Steps from the Monon and only a 5 minute walk to The Arts and Design District, shopping and restaurants. MLS#21631295. Havens LLC. 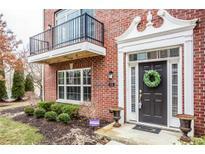 Access to the Monon Trail in the community w/downtown Carmel just a few blocks away! MLS#21626475. F.C. Tucker Company. This Home Has The Whole Package: End Unit, Private Mature Views, Lots Of Natural Light, Move-in Ready & Updated, Amazing Location! MLS#21625467. Keller Williams Indpls Metro N.
Here you can live an active lifestyle and enjoy the convenience of being close to everything downtown Carmel! MLS#21619236. Keller Williams Indy Metro NE. Parking available in front and back. Maintenance free living. MLS#21618458. Keller Williams Indpls Metro N.